A number of climate change activists have been arrested after staging protests in Westminster, including trying to block Downing Street. Police made 27 arrests for offences including criminal damage. They later tried to block the entrance to Downing Street, holding up food containers reading 'food shortages coming', with some lying on the ground and one gluing himself to a fence. 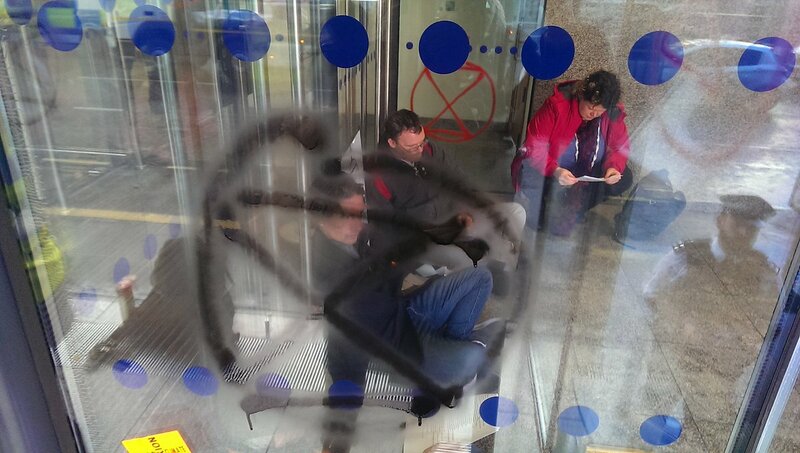 Environmental activists block the entrance to the Department of Business, Energy and Industrial Strategy. Image: Extinction Rebellion. Scotland Yard said in a statement: "A number of protesters placed a large banner on Westminster Bridge. "A short time later a number of criminal offences, including minor criminal damage, were committed in the Downing Street and Whitehall area. 27 people have been arrested for various offences." A number of climate change activists were arrested earlier this week inside the headquarters of the Business Department in Westminster. Campaign group Extinction Rebellion was behind Wednesday's protests. It is believed more civil disobedience demonstrations are being planned.